Marketing experiences driven by powerful analytics! Digital marketing is absolutely essential for success in today’s technology driven world, however it’s important to evaluate what digital marketing techniques are right for your business. At Smart Chimp Digital, we develop a digital strategy based on thorough research of your business, industry and ethos. Social media marketing is a fantastic way of engaging with your audience. Here at Smart Chimp Digital, we focus on delivering creative content that resonates with your target audience, driving engagement and building trust and value with your customers. From here we take advantage of powerful data to analyse and report the success of specific campaigns, ensuring every piece of content is engaging with your target audience and delivering results. Looking for a more targeted approach? 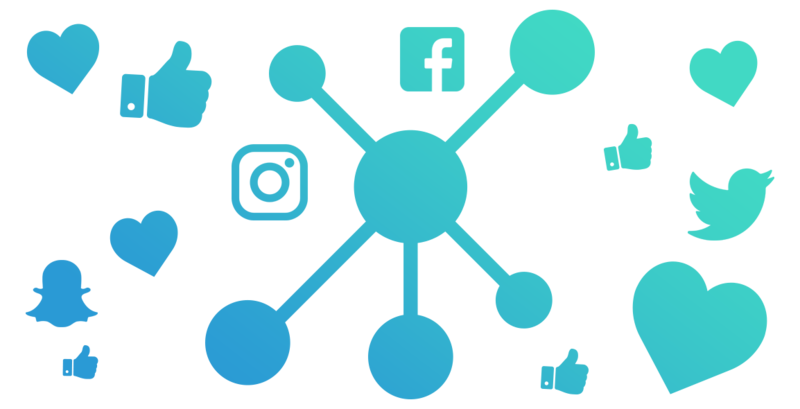 We also utilise paid social advertising to position your brand in front of the right demographics ensuring your budget is driving a significant ROI. Utilising strategic email marketing campaigns, businesses can effectively nurture potential customers through the sales & marketing funnel, turning strangers into customers and customers into brand advocates. Looking to utilise marketing automation? We work with market leading software providers to deliver powerful email marketing automation that focuses on lead generation and nurturing. The buying process is a journey, sometimes customers just need a little direction. Visibility in search engines is imperative for driving quality traffic to your website, however, the competition is fierce. We implement tailored SEO strategies, that are bespoke to your businesses objectives, optimising your website, strengthening your backlink profile and developing content that focuses on pushing your website up the rankings and driving quality traffic. Looking for some quick quality leads? Pay per click and social media advertising are a great way of getting your product or service in front of people who are searching! We utilise powerful analytics to ensure that your getting the best results for your budget, constantly reviewing and altering campaigns to maximise your ROI. Whether it’s Google Adwords, YouTube ads or Facebook advertising, we develop bespoke strategies that deliver consistent results!